IT IS FROM A KONFIRMATION CLASS OF 1959, IN A SMALL CHURCH IN A SMALL VILLAGE NAMED SKANDERBORG IN MIDT JUTLAND. 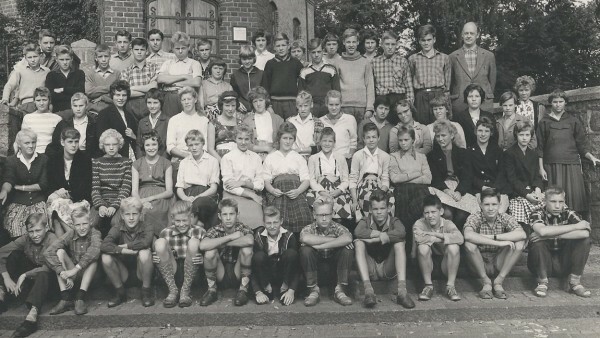 THE BLONDE WITH THE GLASSES, NR 5 FROM RIGHT, IN THE FRONT ROW, IS MY DAD, 15 YEARS OLD. Ohh, what an awesome pic!! And what a handsome little man he was!